Please fill in your details and one of our technical sales consultants will be in touch shortly. Your details will be kept secure and never be shared or used without your consent. 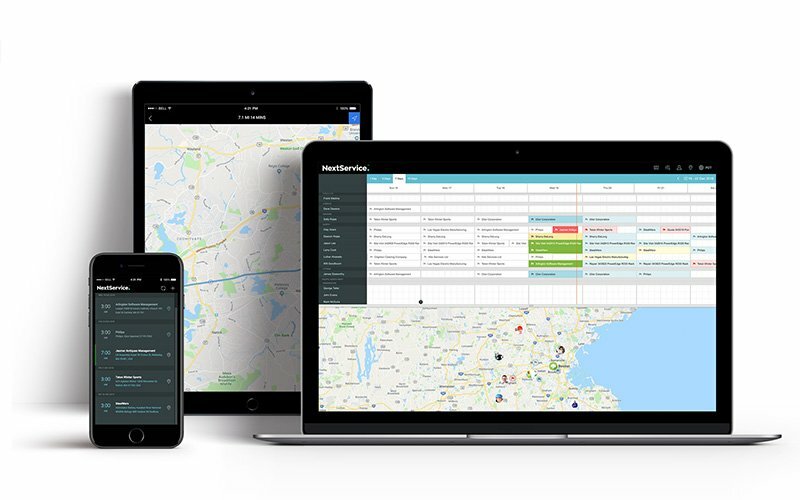 Increase service revenues, improve operational efficiency, boost your brand - with the industry's most flexible and powerful field service software solution. 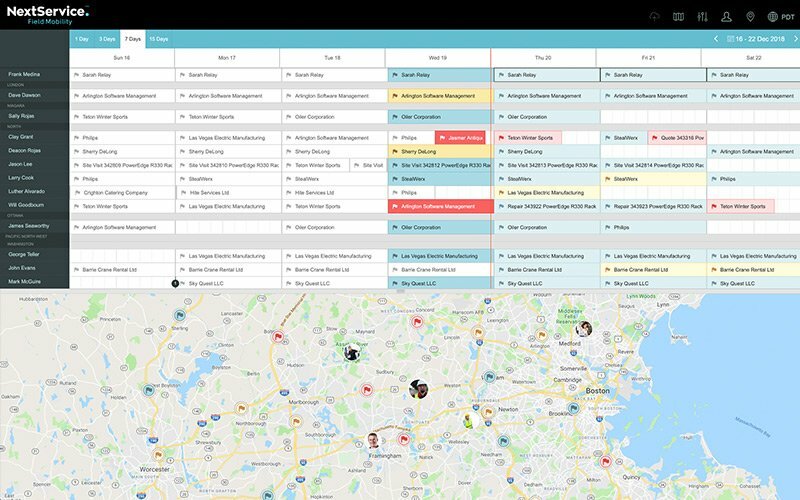 NextService helps service organizations delight their customers with efficient scheduling and dispatch, automated preventive maintenance programs, comprehensive analytics and more. 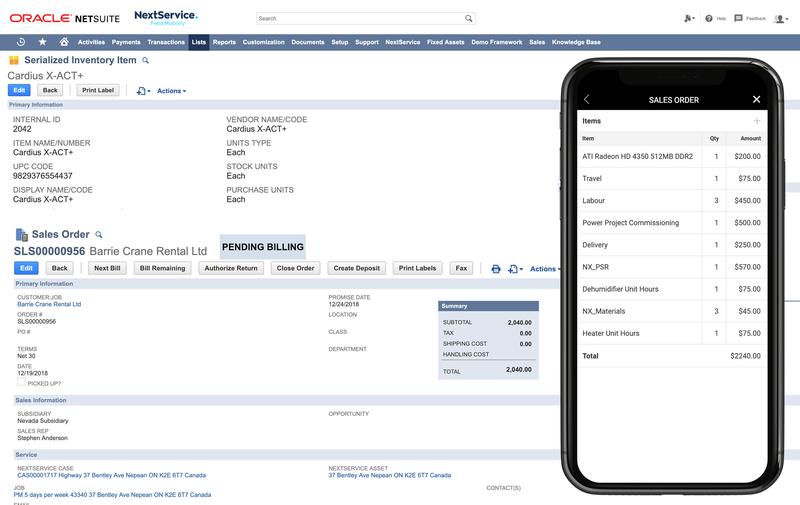 Work orders can be created from, and linked to, NetSuite projects, cases, sales orders - as well as NextService asset records. 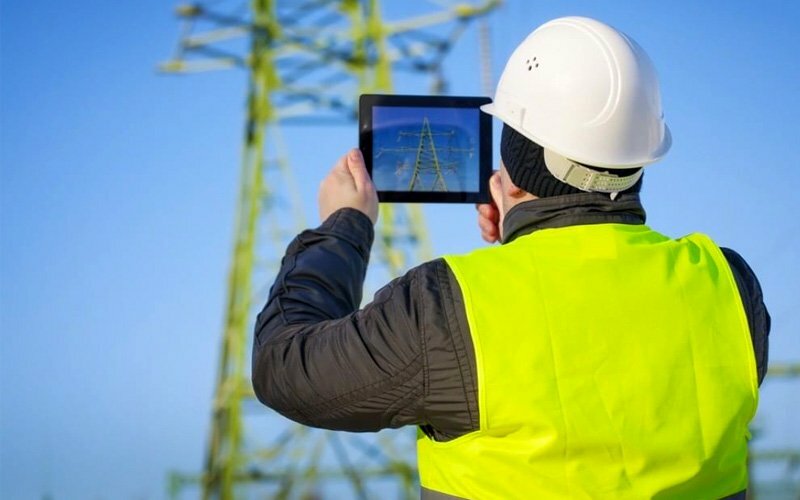 Work orders can be tailored to meet an almost unlimited spectrum of work flows - warranty work, preventive maintenance, repair, installation and more. 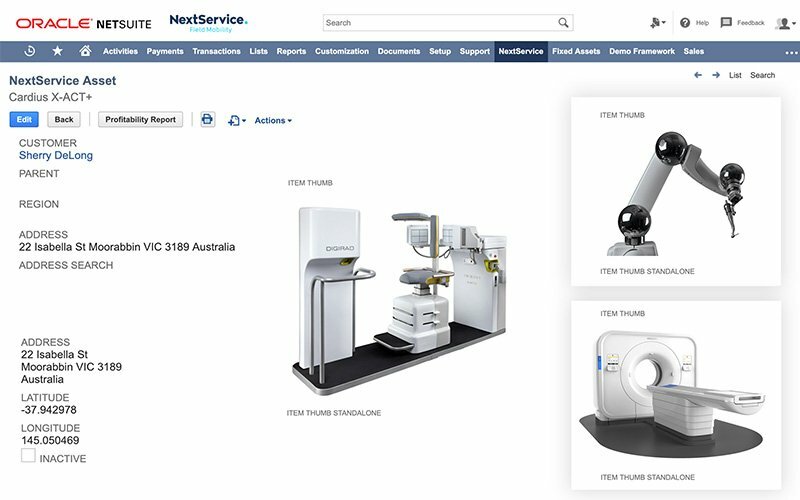 NextService customer asset records are designed to accommodate any device and any industry. Asset history is retained - even when the device is moved or ownership is transferred. Flexible filters ensure that the right technician is assigned to the right job every time. Pop-ups make it easy for office personnel to access job details - customer, location, asset, and more. The NextService Mobile App is the industry's most flexible - and powerful. Built-in forms and checklists - tied directly to NetSuite - allow companies to gather data in the field that can be used for in-depth reporting and analytics. 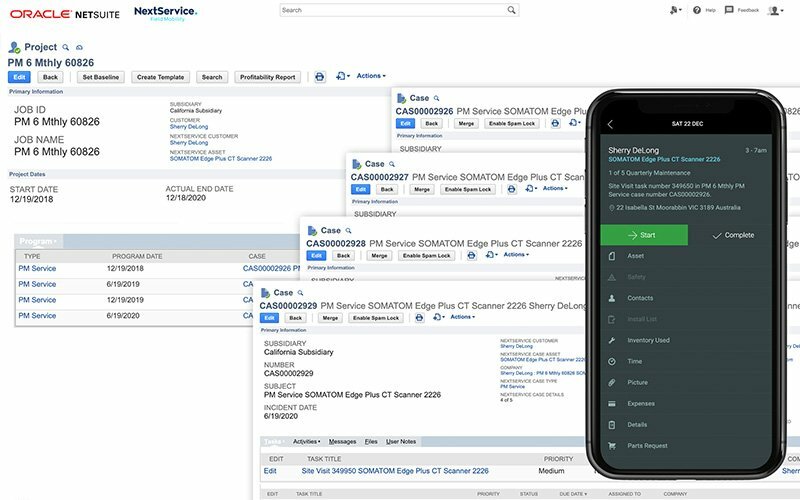 NextService extends NetSuite inventory management features to field personnel. Consume inventory using drop down menus - or our built-in bar code scanner. Gather data in the field using mobile forms and checklists. Track asset service history. Monitor technician productivity. 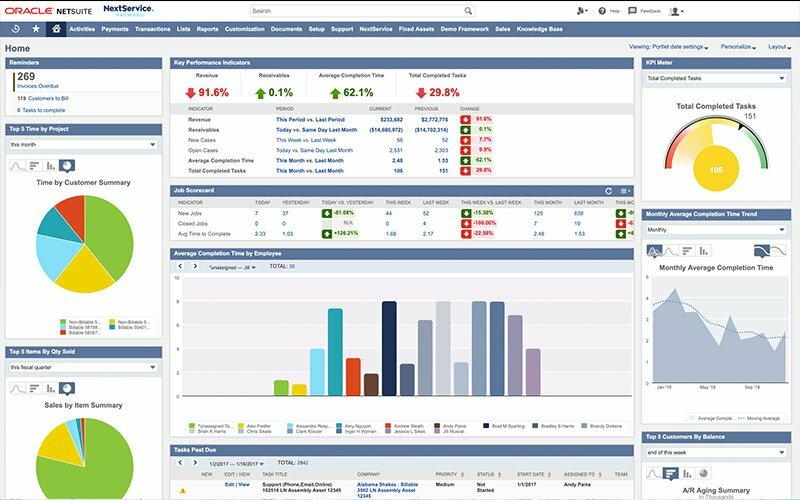 Then leverage the power of NetSuite to deliver in-depth reports and analytics. Leverage our staff's decades of field service and NetSuite experience to implement efficient workflows and processes. Take advantage of our expertise to effect a solution that works. 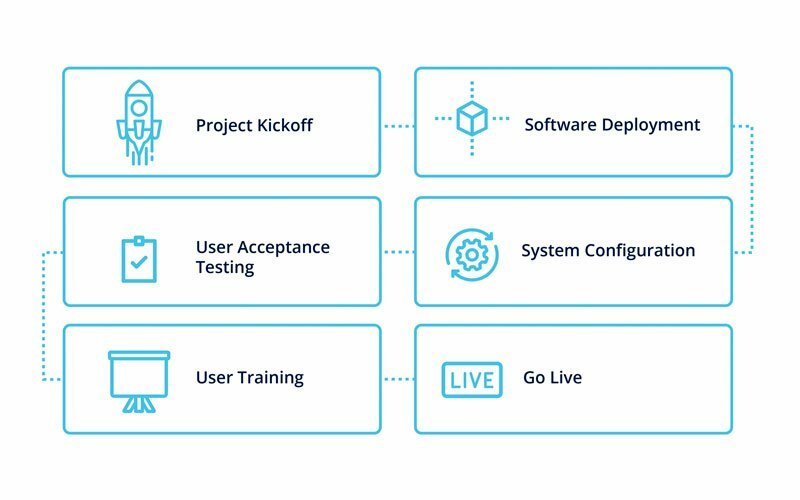 Our product guide details everything you need to know about NextService, the world's leading Built for NetSuite Native Field Service Software. Book your NextService Field Service Software demonstration with us. You can also speak to one of our product experts here. NextService creates a one system solution thanks to the native integration within NetSuite. © NextService Field Service Software. All Rights Reserved.